From May 27th-30th the Regional Training Course on UNESCO Global Geoparks, ‘Perspectives for National Commissions for UNESCO in Asia and the Pacific Region’, organized through collaborative efforts of the UNESCO Jakarta Office, the Japanese Geoparks Network, and the Oki Islands UNESCO Global Geopark as part of the `UNESCO Global Geoparks for Enhanced Multidimensional Sustainability (GEMS) in Asia and the Pacific Region’ project, was held at the Oki Islands UNESCO Global Geopark. 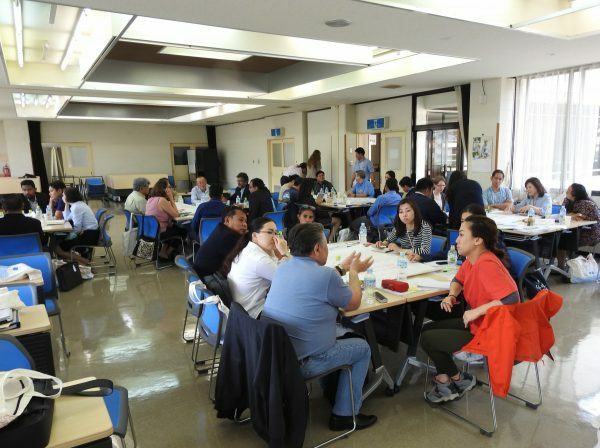 This was an international workshop with participants from all over Asia and the Pacific region taking part to learn about how to start and develop geoparks, share experiences, and strengthen networking. 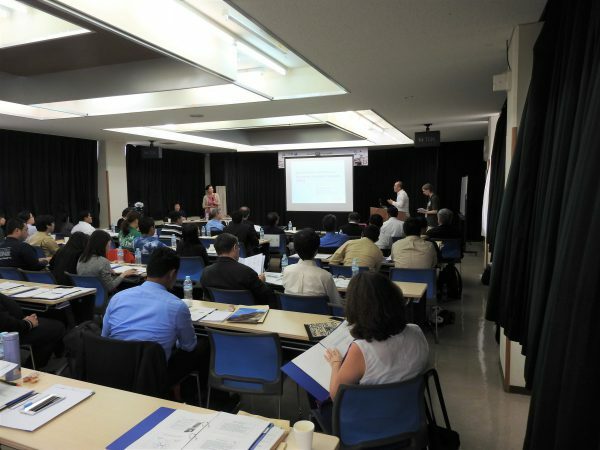 Representatives from UNESCO, GGN, and MEXT were also in attendance. Picture 1: Group picture of participants and lecturers. 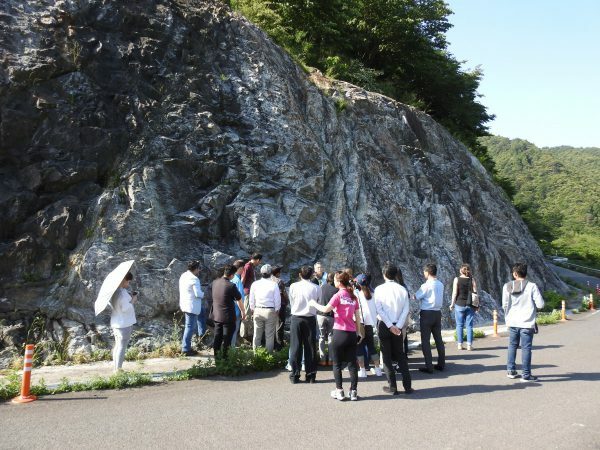 The 4-day training course included lectures from Japanese Geoparks on geopark activities in Japan, collaborative workshops, and group discussions. 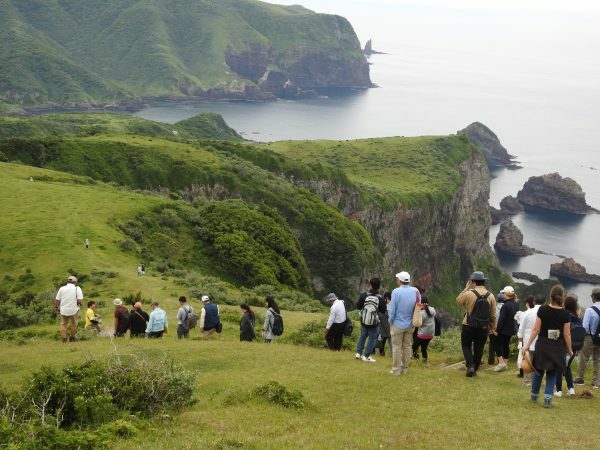 Participants also had the opportunity to explore the Oki Islands UNESCO Global Geopark on an excursion to Nishinoshima Island, where they trekked down Matengai Cliff and enjoyed the scenery of the sea-eroded Kuniga Coast. The training course concluded with a productive brainstorming session on the problems geoparks face in each region. 4. Visiting Oki Islands UGGp Geosites (Oki Gneiss). 5. Excursion to Nishinoshima Island (Kuniga Coast). 6. 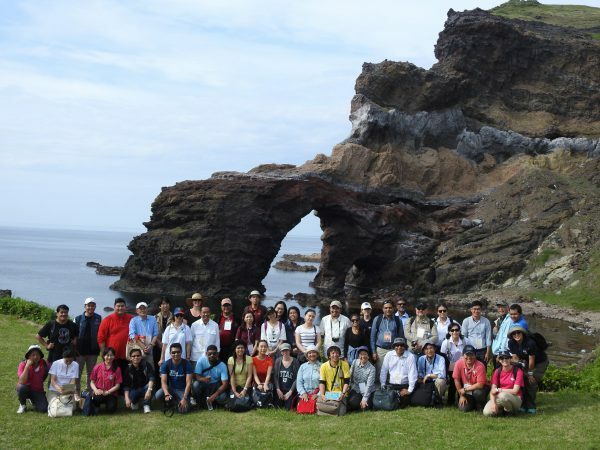 Excursion to Nishinoshima Island (Tsūtenkyō Arch). 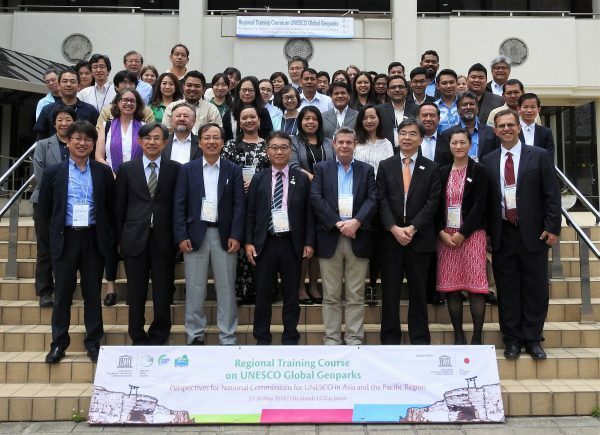 We hope the Regional Training Course on UNESCO Global Geoparks, ‘Perspectives for National Commissions for UNESCO in the Asia and Pacific Region’ will lead to the greater development of geopark activities and the strengthening of networking in the Asia Pacific Region.